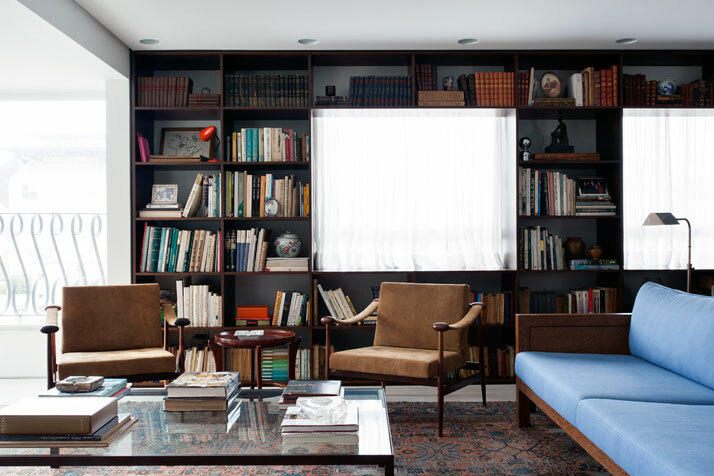 Felipe Hess is no stranger to the world of Yatzer. 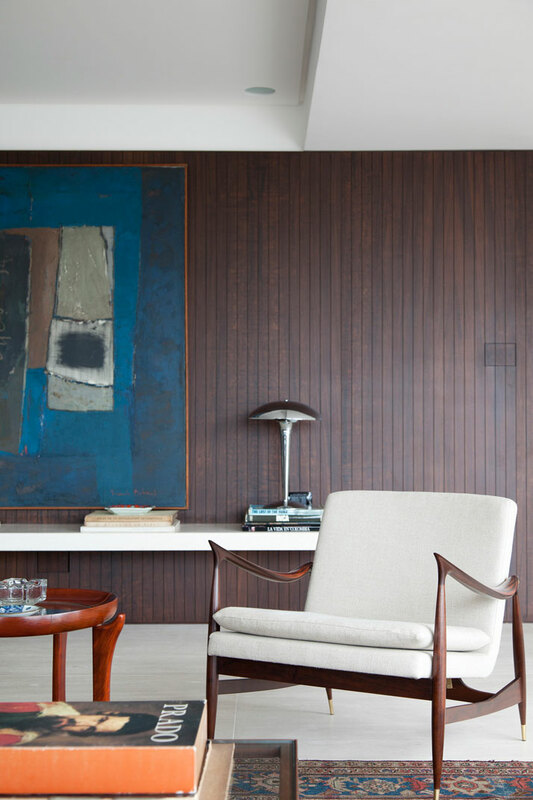 His works never fail to impress & delight with their openness and specific use of finishes giving a sense of overall continuity. 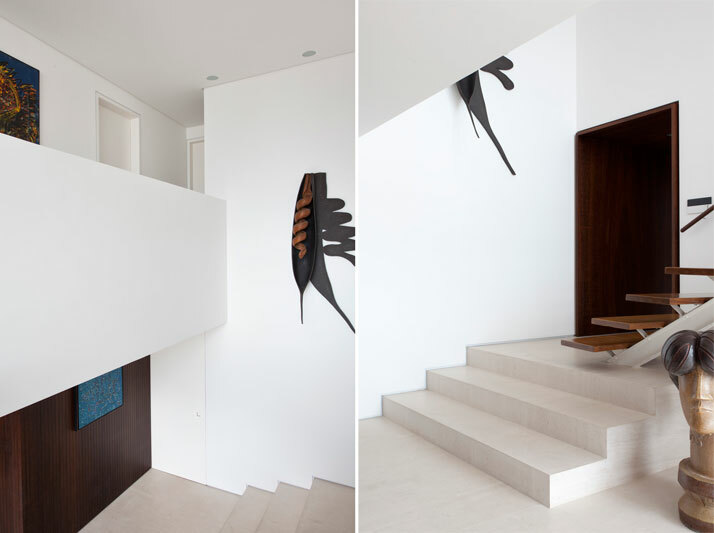 We, therefore are very excited to give our readers the first look into his most recent completed project. 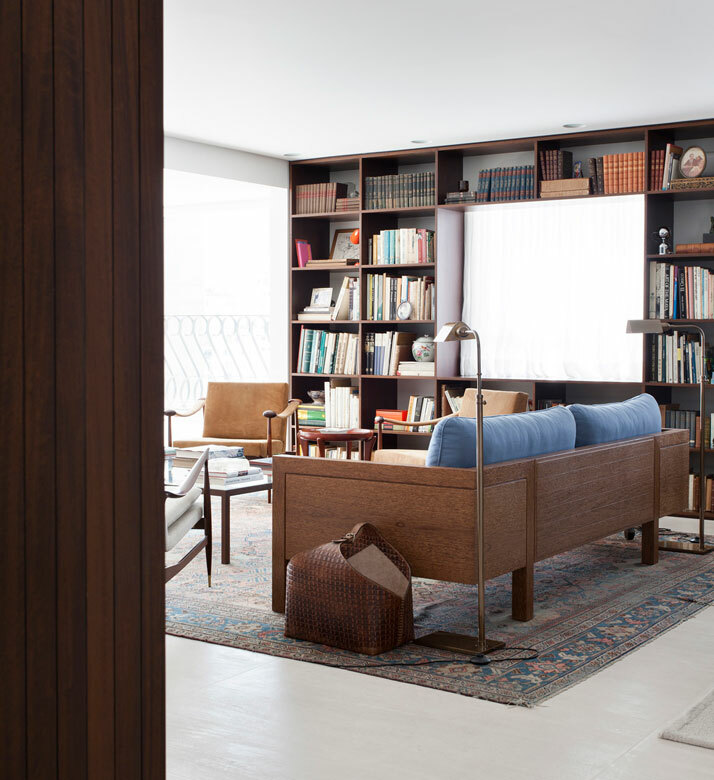 The project itself is a two story private residence in São Paulo, Brazil, located on the 20th floor of an apartment building on the very well to do and cosmopolitan Oscar Freire Street. The clients, a couple who have completed their dues as parents, were finally ready to enjoy their ideal housing dream. 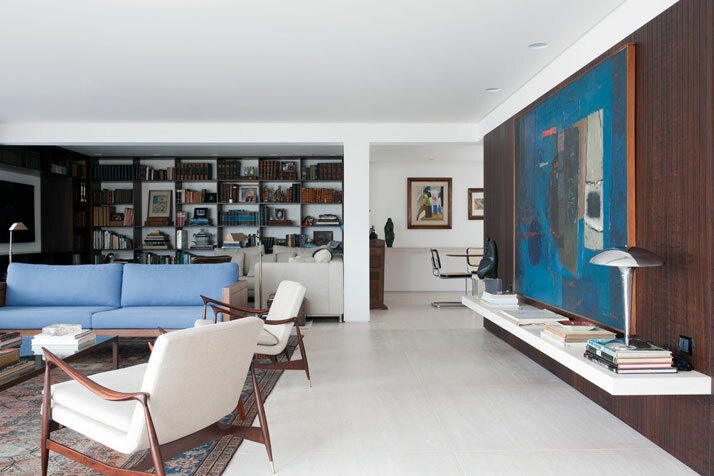 Being great art lovers and ancient book collectors, it was of prime importance that their true passions be exposed and admired on a daily basis, a factor which was successfully achieved by Felipe Hess. 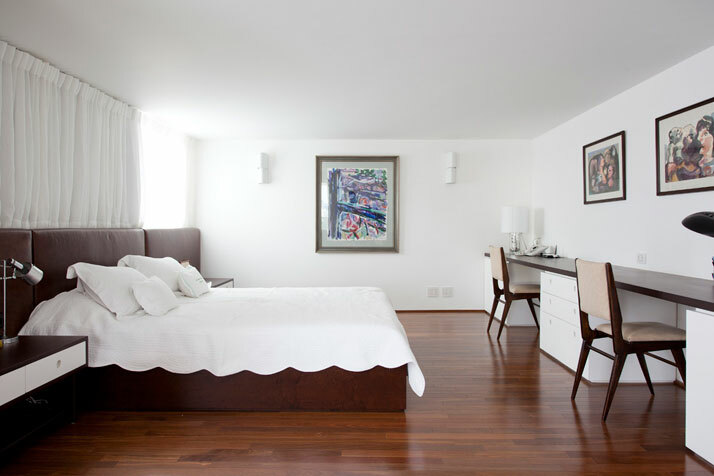 At first glance, the prime factor that captivates you in this apartment is the sense of space. No partitions, dividers or separations, just the freedom of vast openness. 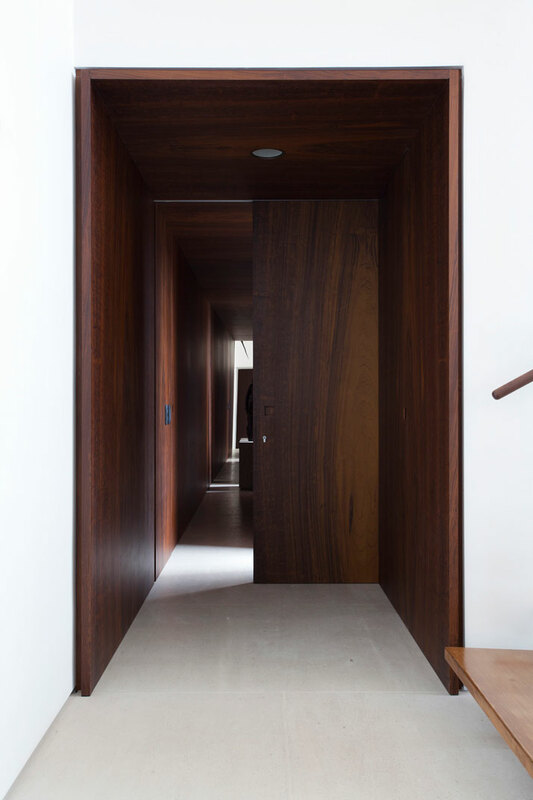 This is even more capturing as a guest entering from the main entrance through a tunnel like corridor all made out of Embula wood with its 2.10 m ceiling. 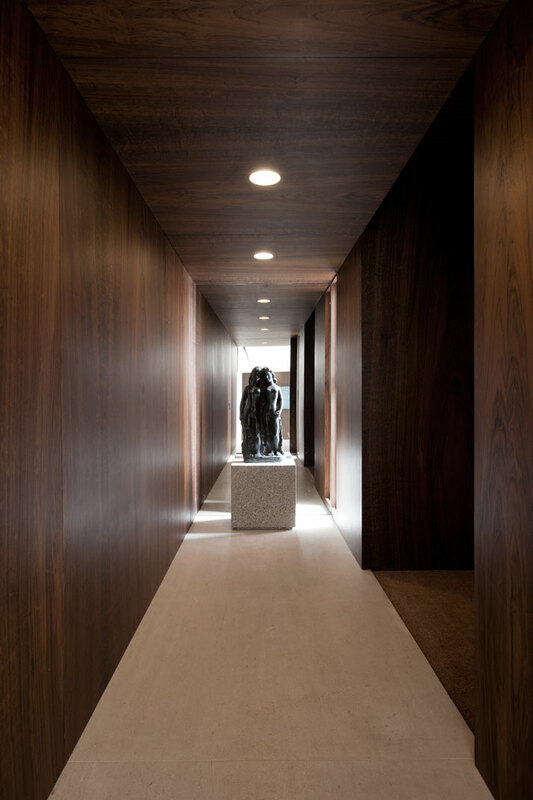 Walking through this corridor with its bronze mirrors and Victor Brecheret sculpture ‘As duas meninas’, you are suddenly overwhelmed as you enter a double height room with its pure white walls and limestone flooring. 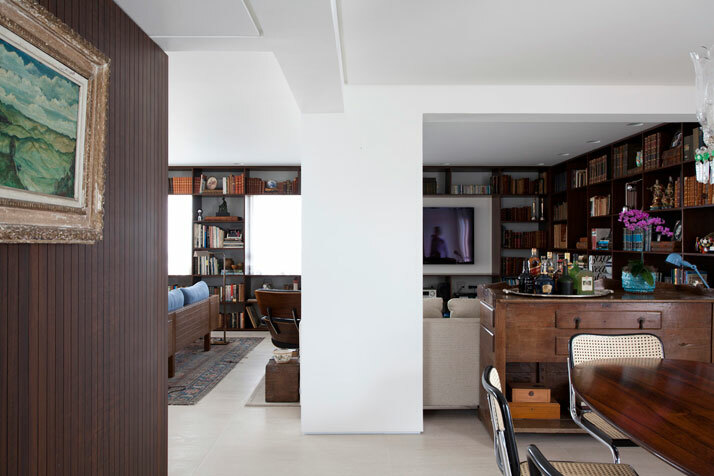 The living, dining & TV room are connected through the great library. 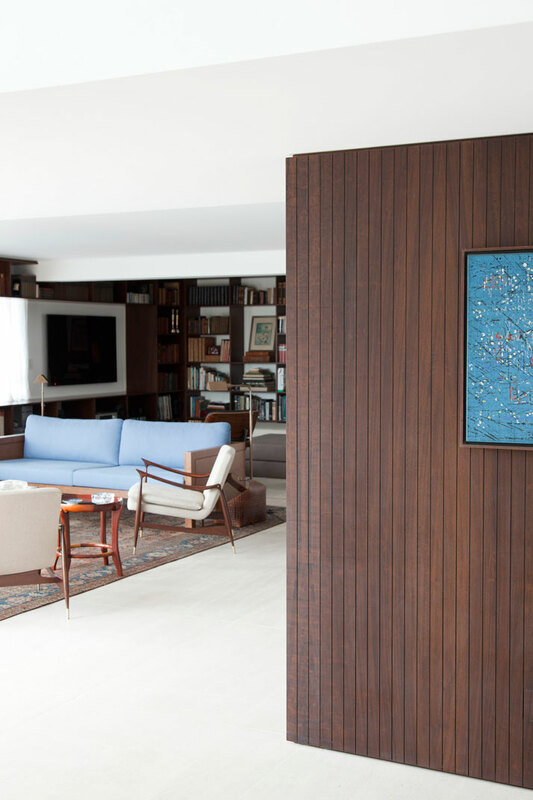 This great space has been designed in a 1950’s style where the lifestyle is all about friends dropping by to either discuss the latest developments or evaluate the recent art exhibit opening with a glass of whisky in one hand, pocket watch in the other and views to the metropolis. 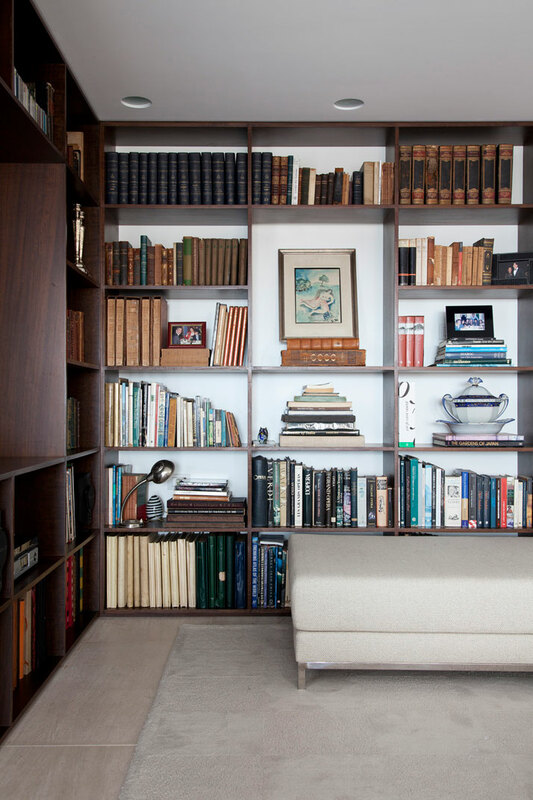 The furniture beckons long conversations and the displays of books certainly demand it. 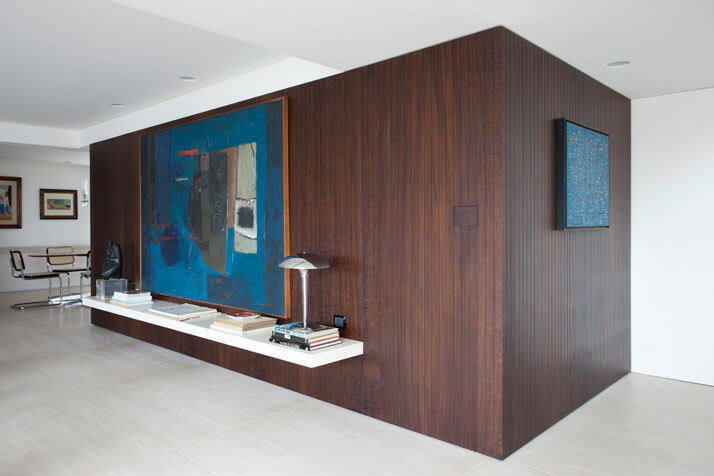 The presence of the central wooden fixture which provides the background for some of the couple’s artworks not only helps in organizing the interior but also incorporates a secret opening to a wine cave. Ahh…. the luxuries of old timers. 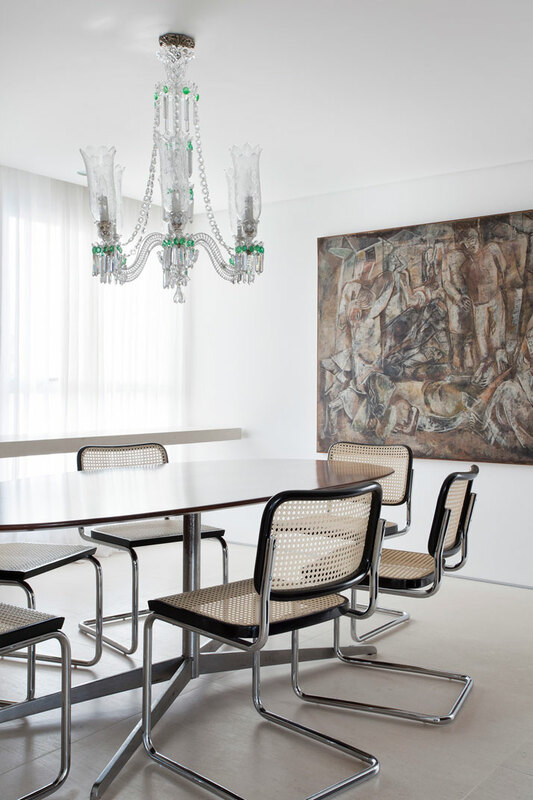 Throughout the rooms the presence of great names surround you, names such as Charles & Ray Eames chaise in the TV room, Lasar Segall canvas at the back of the dining room, Florence Knoll dining table, Jorge Zalszupin pair of armchairs in the library and the list goes on. Upstairs and this comes as no surprise, the two bedrooms were connected and were transformed into a bedroom/lounging private room. 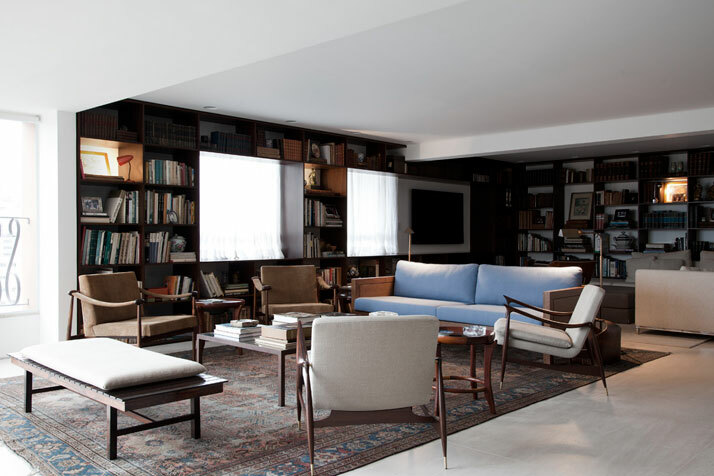 Just the presence alone of the Mole armchairs designed by none other than Sergio Rodrigues, are enough for us to rest our case. 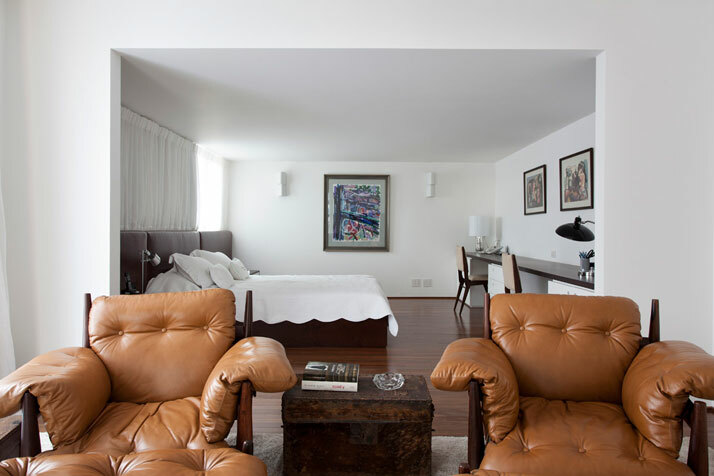 In the bedroom, the exclusive design of the his & hers dressing table together with the bed and night stands were all designed by Felipe Hess to meet both the clients and the apartment’s lifestyle needs. 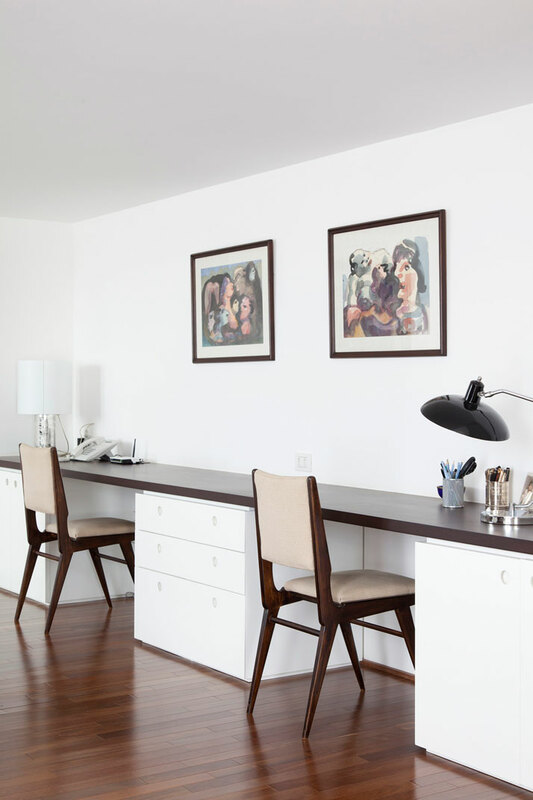 The designer of this project states ''this apartment is an example of urban living in the heart of fashion in the most vibrating district, bringing calm and comfort to the interiors thanks to the materials, the art works & the objects''. 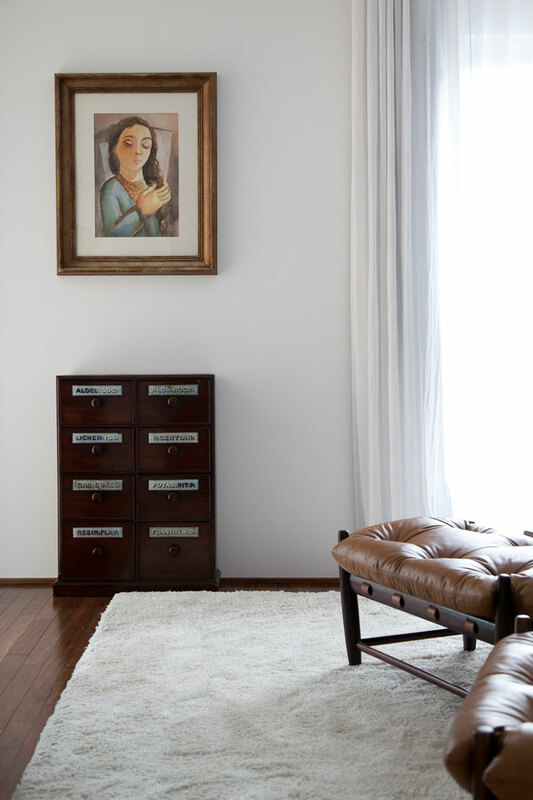 We say it brings much more then calm and comfort, it brings a sense of a distinguished style in design.